Dozens of labor unions and grassroots organizations in Argentina carried out a general strike Thursday April 6th in protest of the austerity policies of Mauricio Macri’s government. 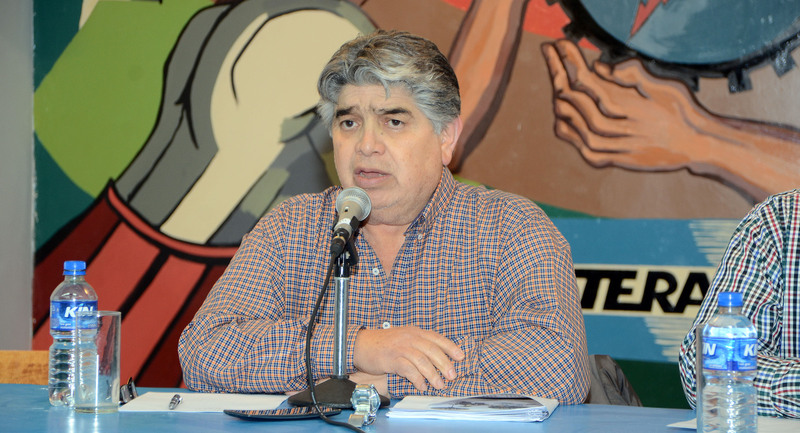 The strike was called by the CGT (General Labor Confederation) umbrella union, and was supported by the two other major central unions, the CTA de los Trabajadores and the CTA Autónoma. “Workers demand the immediate stop of these austerity policies”, he added. Rigane also highlighted that “the government is trying to denature the workers’ claim by focusing on secondary issues, because they can’t say anything about the austerity policies that are being carried out”. “The government believes that there is dialogue or that they promote dialogue, but it is not like that, they see another reality. The government did not call all national trade union centers to a discussion table,” he added. Since taking office in 2015, Mauricio Macri’s government has implemented austerity programs across numerous sectors of the country’s economy. Gas and electricity prices are on the rise and jobs are being cut. Government institutions are downsizing while private companies linked to the ruling administration are getting tax cuts. Since early February, thousands of Argentines have led weekly protests across the country against the gas and electricity rate hikes, and since early March, Argentine teachers in Buenos Aires have protested cuts to education and are demanding a collective bargaining at a national level”.